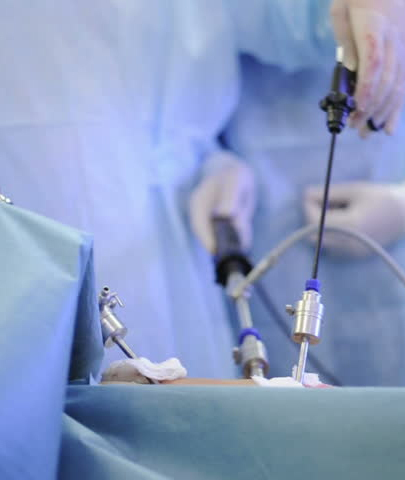 Laparoscopy is the most important development in field of surgery since inception of surgery. Unlike traditional surgery where you have to make large cut in abdomen to access to organ to be operated. This large incision (cut) is responsible for pain, chances of infection, need for the rest, prolonged hospitalization and also cost of treatment. Advances in technology made it possible to do the same with at making cut and this particular specialty is called laparoscopic surgery and other names are keyhole surgery, minimal access surgery. This procedure essentially involves make a small cut 5-10 mm incision through which scope is passed which transmits images inside closed cavity of abdomen through help of advanced camera onto screen (TV/ medical monitor) . Surgeon can operate looking at the image with help of additional ports / instruments. The type of surgery done inside is same like traditional open operation but achieved without cutting open abdomen. Other benefits are vision is very clearer , because of magnification structures that are not seen with naked eye also can be visualized with laparoscopy, bleeding is less, less pain and early discharge from hospital. Other benefits are persons go back to work early mostly in 3-7 days thus reducing loss of man hours. Others problems of open surgery like disfiguring scar and incisional hernias are rare in laparoscopy. In short laparoscopy makes surgery more pleasurable and less painful both physically and mentally.